I did more research on the uses of American citron (see my previous post), and discovered it tended to be used in the same way as many candied fruits: in cakes (particular wedding cakes) and cookies. I came across the recipe for Little Citron Puddings, which seemed unique but not out of the ordinary, and relatively simple to make. I decided to give it a whirl. The next day, I took a teacup of custard out of the fridge and gave it a taste. At first, I thought the citron didn’t offer any flavor except gelatinous and sweet. But after trying a few bites of custard sans citron, I realized it really did add some depth of flavor that I couldn’t quite put my finger on. 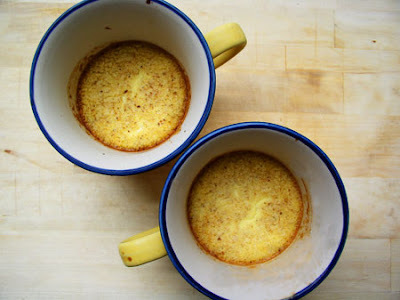 The custard was a good consistency, the nutmeg delightful, and the tea-cup container pleasing and convenient. However, it just wasn’t really…good. It lacked a certain something, and the texture of the citron was a tinch repulsive. I’m thinking that American citron is one of those Victorian dishes I just can’t get behind. But I’d be curious to try the same methods with a real citron, to see if it’s more flavorful.